Heirloom Audio Productions: With Lee In Virginia . . . A T.O.S. Review | My Journeys Through Life . . . Herding Cats In New Mexico! We were so happy to once again be given the chance to review an adventure from Heirloom Audio Productions! Given that so much is being discussed in the media regarding the War Between The States, I found this to be a very interesting time to be doing this particular review, to say the least! This is a masterful G. A. Henty story, written from the point of view of Vincent Wingfield. Vincent is portrayed by ​​Justin Shenkarow, an actor I have never heard of. However, Wakefield truly drew us into this period of time in our history! At the age of fifteen, Justin goes off to join the cavalry of the Army of Northern Virginia, in the Confederacy. Before this even happens, though, Justin, whose own family does own slaves, fights with a neighboring slave owner regarding his treatment of them. He later helps keep a family of slaves from that neighbor’s plantation from being split up, and helps the husband get to freedom. All during the war, as Vincent is reading his father’s Bible, he is finding passages which cause him to feel much differently about slavery, though he continues to fight for the state’s rights and sovereignty as guaranteed in the constitution. Along the way, Justin fights alongside the likes of General Stonewall Jackson, and General Robert E. Lee, as well as at least two of his friends who joined up with him. He even suffers betrayal at the hands of his former neighbor, after they have been captured, but Justin has a lot more fight left in him before the whole thing ends! Some of the cast will be immediately familiar to many. Kirk Cameron, as General Stonewall Jackson, was really great! I remember him from all the way back in his sitcom days as a teenager! He has really grown as an actor. James Cameron (Kirk’s son) portrays Justin’s friend, Will Upton, Sean Astin is General Jeb Stuart, And Brian Blessed as G. A. Henty. There are many more, and I think you will find them to be wonderful in this audio drama! Here is a little video to give you a bit of an idea of this program . . .
As I said above, this is an interesting time to be reviewing this program. 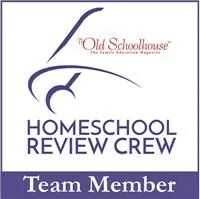 I think it should remind us that we cannot “rewrite history” because it suits us as a result of political correctness. The War Between The States happened. Slavery happened. And yes, even if they were wrong in their beliefs regarding slavery, there were, in fact, many, many good and godly men on both sides of the war. In fact, history shows that slaves were held on both sides, too. This war was primarily about states rights. Listening to it during all of our country’s present turmoil SHOULD make one want to delve even deeper, not make one want to erase every sign of the side which lost. We are in an interesting position to be reviewing this one, as two of my kids, “Mr. Loquacious” and “The Puzzler” are black, teen boys. I work very hard in today’s climate to help them learn that this does not give them a pass if they do wrong, as so many appear to believe, judging by the media. “Mr. Loquacious” wanted to know things such as “would he be a slave if he were alive back then?” along with “would we be allowed to be adopted by you?” So we talked a lot about things like that, as well as going off on (little) rabbit trails regarding how laws didn’t allow black men to vote until way later than this part of history, in fact, even in the north, black children were not allowed to go to school with white children until the 1950’s, and the fact that there were many other ways of keeping them separate as well. 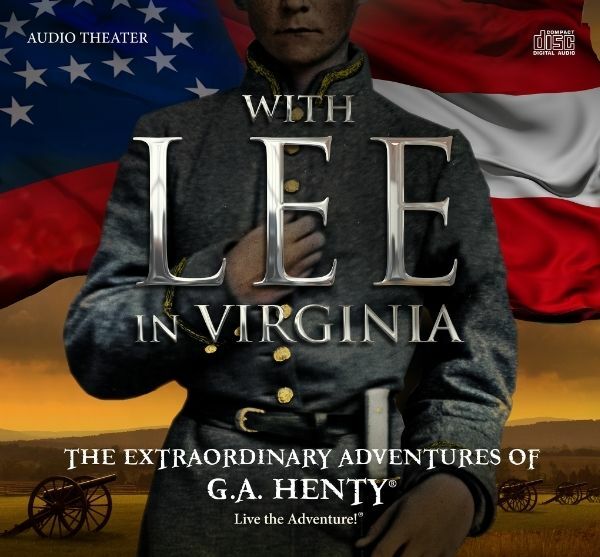 Along with the audio drama, we received an mp3 download version of the audio drama, the With Lee In Virginia Ebook (Henty’s original story with new color graphics), the official soundtrack, a study guide and discussion started, and A beautiful, printable copy of the inspirational quote from Robert E. Lee to his son. Although we have the study guide, we found a lot of discussion starters just listening, as I told you above, so I will save the rest, and do a further in-depth study as my kids are better able to get more into the guide. This is a wonderful, wonderful program. I love G. A. Henty stories, and Brian Blessed is masterful at the portrayal of him! I wholeheartedly recommend this, along with both of the other Heirloom Audio programs (Under Drake’s Flag and In Freedom’s Cause). We can barely wait until Heirloom Audio brings out yet another adventure! To read what 99 other crew members thought of this audio drama, please click the banner just below! Pingback: The Cat Of Bubastes From Heirloom Audio: My Review | My Journeys Through Life . . . Herding Cats In New Mexico! Pingback: In The Reign of Terror From Heirloom Audio Productions: My Review | My Journeys Through Life . . . Herding Cats In New Mexico! Pingback: Wulf the Saxon From Heirloom Audio Productions: My Review | My Journeys Through Life . . . Herding Cats In New Mexico!